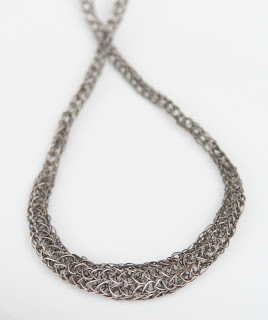 I am going to excuse myself from this project, a crochet chain. I love crochet and woven chains and I have done many, many meters of them by now, which means I have drawn many more meters of wire down. I have done tapered chains, twisted chains, messy chains, open chains and, yes, the traditional chain as well. So I will leave a few pictures up and move on to the next project, forged hoops. If anyone has any doubts or questions on this project, feel free to ask on the comments and I will do my best to answer. I am proud of this one! A very fine double weave which was very tightly drawn. And the promised traditional look! PS - I have just been scolded for my lack of marketing sense. Yes, these chains are all available in both my website (www.beatrizfortes.com) and on Etsy (www.beatrizfortes.etsy.com). 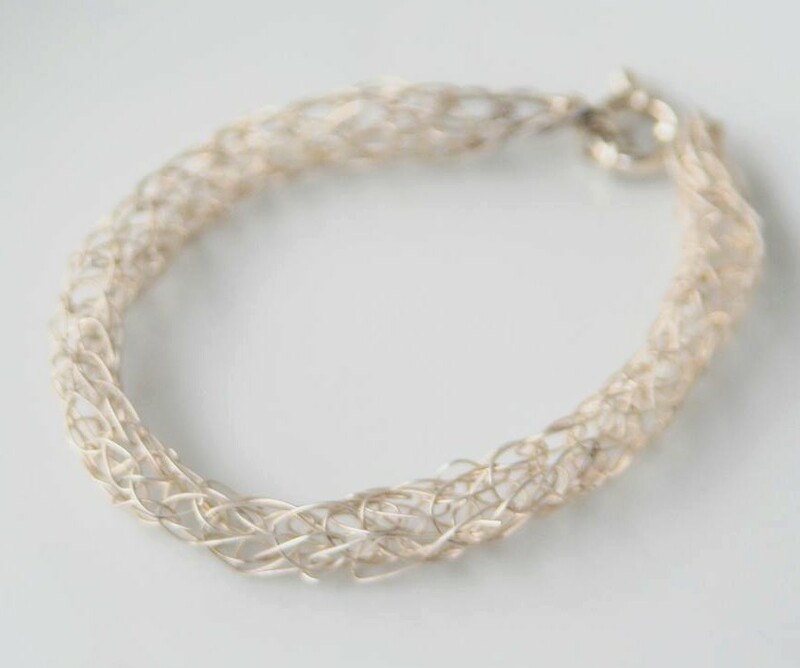 They can also be custom made in 22k gold. Have I mentioned how bad I am at marketing my work? Yep, very bad. But I decided to go ahead any way by adapting the project for a forged ring, instead of a bracelet. This is the first project and covers several basic skills, including forming and soldering. 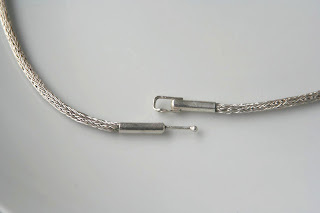 I started out with 2mm square wire (why square instead of round? Because I am a distracted airhead). The ring blank was formed and the 4 corners were marked with a file, to keep everything symmetrical. I also lightly marked the solder seam, in order to keep an eye on it as the ring was forged. First round of forging - spreading the center of each side. Everything is looking pretty good. Next, the edges were forged out, to create the square silhouette. I skipped photographing this step but here is the ring after filing. The original bangle kept the beautiful forged texture but it just wasn't working on such a small ring. Filed and sanded to a matte finish, so that any mistakes will stand out. And. believe me, they do! I had to do several small fixes. Here, you can really see how my project is different from the one in the book. When I scaled it down, the forging proportions changed considerably. The transition from the center to the edges has to happen in a much smaller space and the curvature just isn't as clear. 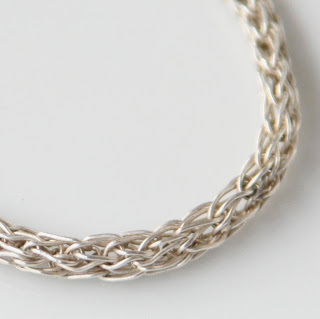 In the original bracelet, the center of each side is quite clearly curved, so the overall outline is still rather circular. My final ring is a square. Overall, I am satisfied with this project. It was quick, fairly easy and, despite all my modifications, it is a nice piece. It is a pretty but quite delicate piece so I want to experiment with heavier wire (2.5mm first, then I might go even heavier) for a more substantial man's ring. I was surprised by the size increase from the forging. I started out with a size 6 blank, expecting it to end up as a size 8 (a 10% increase in diameter). However, the final size is a full 10, giving it a 20% diameter increase. With thicker wire, requiring more forging, the increase should be even larger. 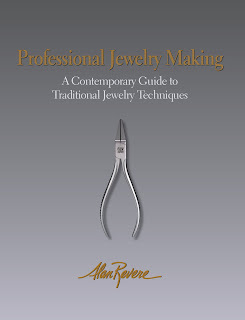 Alan Revere's "Professional Jewelry Making" is something of a legend for jewelry makers. It is comprehensive, didactic and leads students step by step up to advanced techniques. It was also out of print for many years. It was reedited in 2011, with new projects, new layout, even more pictures and, best of all, once more easily bought for a reasonable price (directly from Revere, from Amazon or your favourite bookseller). After hesitating because of the price ($70 is expensive for a book! ), a lost Amazon shipment and waiting for international delivery, I finally got my hands on a copy. It is gorgeous! The explanations are clear and thorough, there are plenty of pictures and the projects are interesting and varied. 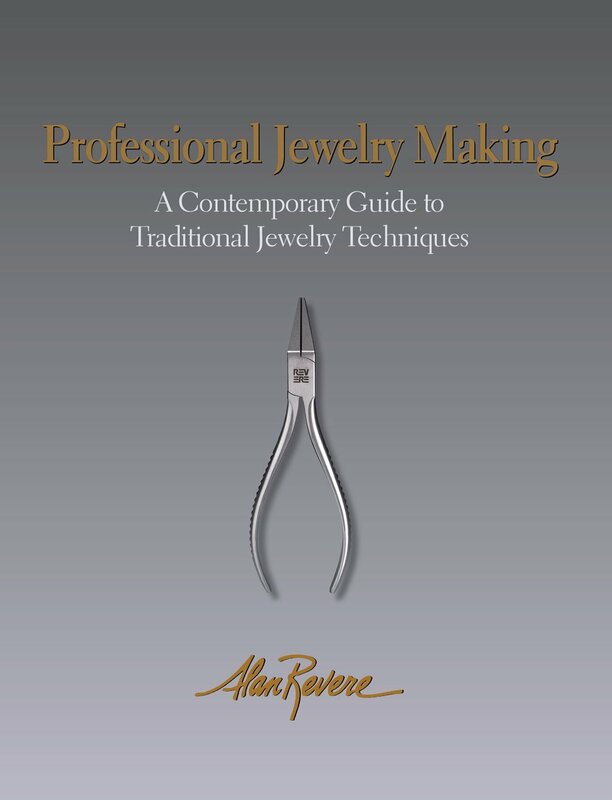 My first plan was to read through the book and select the techniques I wanted to master (clasps, findings in general, etc). But once I started leafing through the pages, I changed my mind. I am going to work my way through the book, from beginning to end, with the focus of precision, good finish and as close to fine workmanship as I can get. And you, my dear readers, get to come along for the ride. 6 basic techniques, 10.000 tricks.